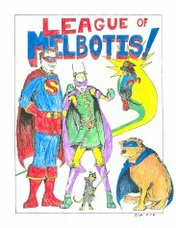 So, comics aren't all capes, tights and jet packs. Occasionally someone decides to do something a little different. Or, depending upon how you want to read it, something classically familiar. Eric Shanower is the one man band behind Age of Bronze, a retelling of the Trojan War in comic book format. I've only read Volume 1 (Volume 2 is just now being released as a trade paper back), but thus far, Age of Bronze has been a true achievement. Handling dozens of characters, both familiar and less so, as well as a handful of ancient cultures, Shanower manages to put a unique stamp on each character and storyline. To prepare for the comic, Shanower has done his homework. Pulling from more than just the Iliad, Shanower has consulted other versions of the story, both ancient versions and modern versions based upon archaeological evidence of the recent past. Shanower manages to meld the sources in order to create a level of understood depth that easily surpasses the usual stereotypes of togas and sandals standing around columns. The story doesn't ignore the Gods and mythology in his retelling, but has chosen to show only the mortal (and perhaps, thereby, human) side of the story. It is possible the gods are at work, but it's left to the reader to decide if the gods are actually involved or not. Character still experience visions, there's still some divination and prophetic dreams, but at no point do the gods actually make an appearance. 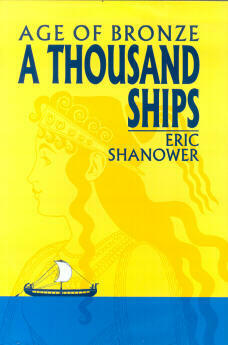 The story takes us from Paris living as a cow herder in rural Greece to the setting sail of 1000 ships toward Troy. Characters such as Odysseus and Achilles play prominent roles as the story unfolds, but are not presented as flawless mythological beings as much as charismatic and skilled leaders. To some extent, the dialogue can occasionally feel stilted. And it should be mentioned that Shanower's art is occasionally stiff as costuming details take precedence over natural poses. It might also be mentioned that, as of this printing, the art is entirely in black and white. Will the reader miss the color? Most likely not. Shanower's art doesn't need color to succeed. The pacing, elaborate detail and characterization do more than enough to keep the reader invested. Age of Bronze is a good cross-over book for folks who still won't read about superheroes, or folks into mythology or ancient history. If Shanower is being serious, the story will span 7 volumes before it is completed. I'm guessing these books are going to find their way into classics departments for quite some time well after the 7th volume is finally released. For previous Suggestions for Further Reading, click here.